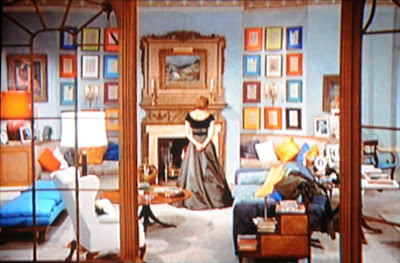 The apartment of Ingrid Bergman in the 1958 film Indiscreet has become a design favorite. I've never seen anyone else frame their art so colorfully until yesterday when I came across two examples. 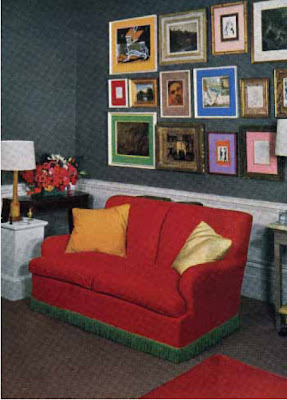 David Hicks also used colorful mats or "picture mounts" as they are called in David Hicks: A Life of Design. 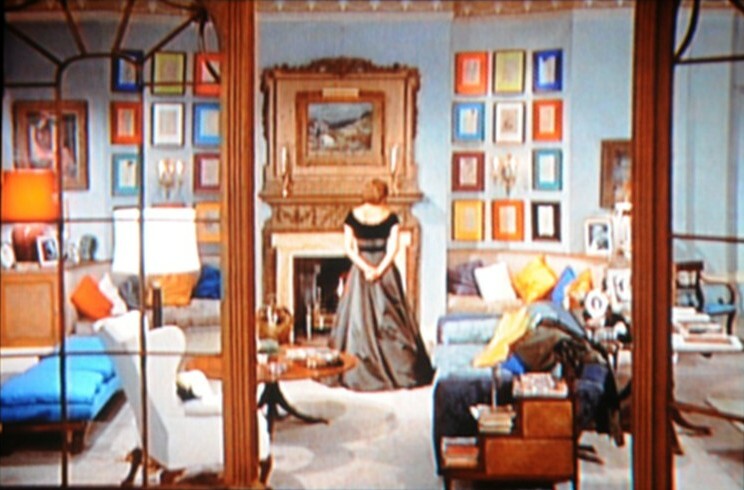 This London apartment from 1954 was also featured in House & Garden so I wonder if the set designer from Indiscreet happened to see it. 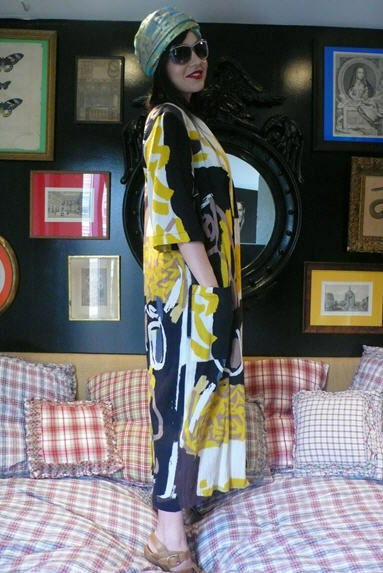 While looking through Tales of Endearment, the blog by Natalie Joos yesterday, I came across a photo of Fabiola Beracasa's apartment. I love how cheerful the bright colors look on the dark wall. 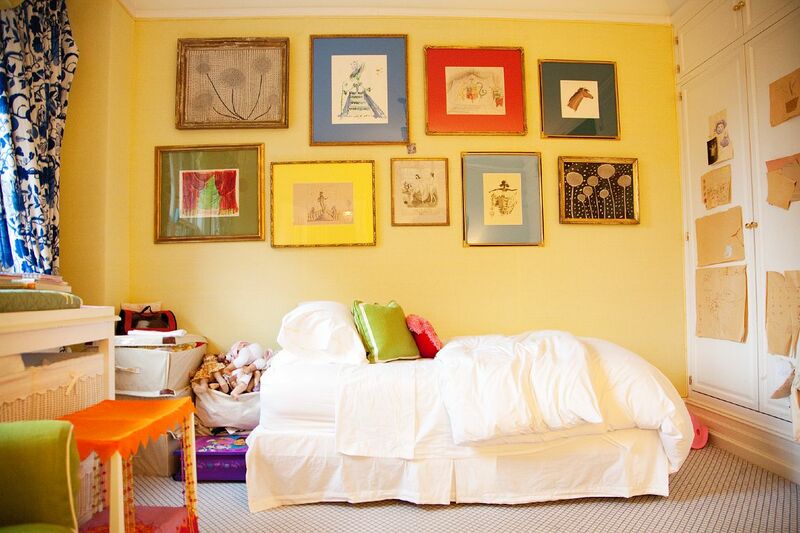 ﻿Kate and Andy Spade also hung artwork with colorful mats in their daughter's room. The craziest color I've used for a mat is pale blue so I might have to add this idea to my list of things to try this year!